We are at the height of strawberry season here in the ole’ Pacific Northwest. So it is no surprise that in practically every direction you can find fresh, local strawberries that are perfectly ripe and can be used for a variety of applications. 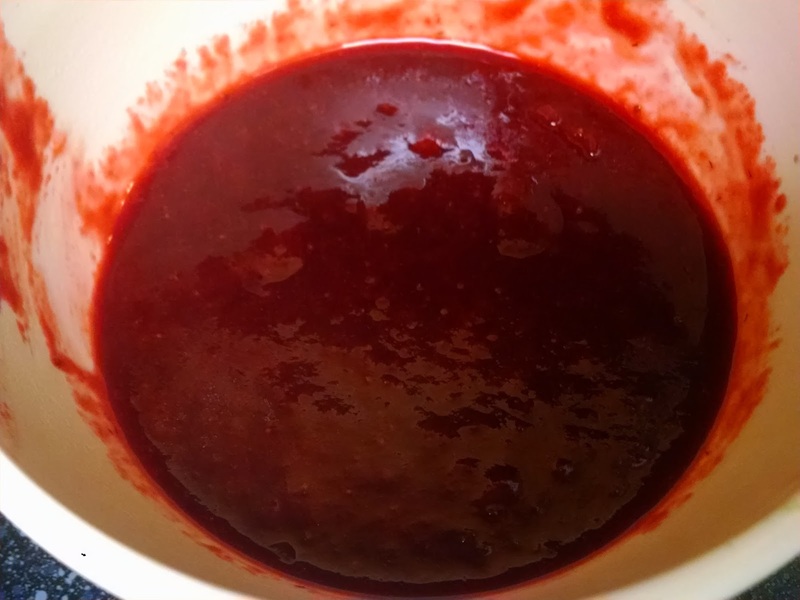 But, let me just say that the strawberry jam I made a week ago has been such a big hit in my house that I’ve been tasked to make more. So, I decided to turn these amazing berries into some awesome jam. As the strawberries were perfectly ripe I was able to use less sugar than I previously used, and I really wanted to make sure that the berry flavor was front and center. I also ended up using about half the amount of lemon juice as well. The jam was still amazing and delicious even with these adjustments! 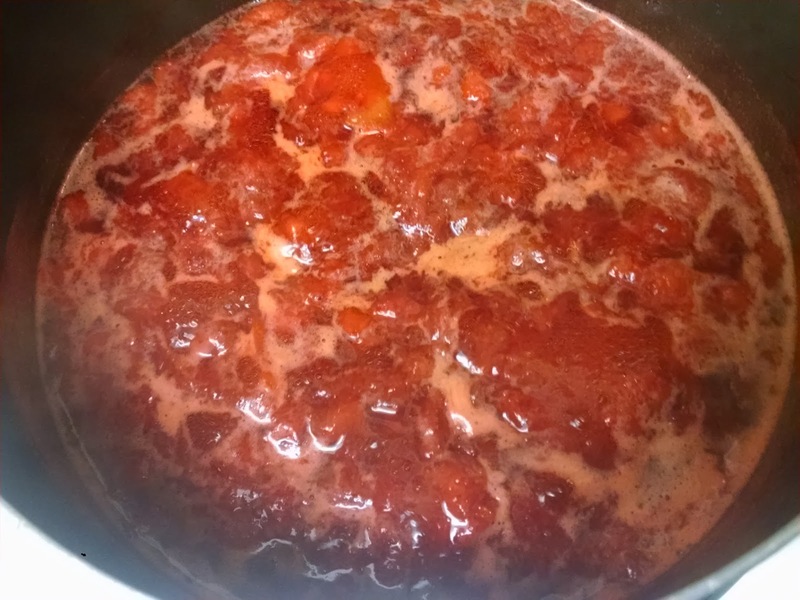 Just follow the usual steps in the strawberry jam recipe, just click the link http://patrickstable.blogspot.com/2015/05/your-summer-jam.html here to review the recipe — but if you have very ripe strawberries you may wish to reduce the sugar and use about half as much lemon. Remember, flavor balance is key, so adjust as needed. I thought I would share a couple of pictures so you could see the beauty of these incredible berries. Ready? Lets do this! This looks like a familiar sight doesn’t it? This shot was berry important. Yeah, I know I had to use that line. Seriously, these strawberries deserve their shot in the limelight, so here they are. I did peel off a few bits of lemon peel as well. Isn’t the color on these strawberries amazing?? I will say nothing makes me happier than when I get to cook with really spectacular ingredients. Mash the berries a little bit, and reduce until thickened. This is what you want to see. This is truly berry bliss. The color of this jam is so vibrant and it really stands out. 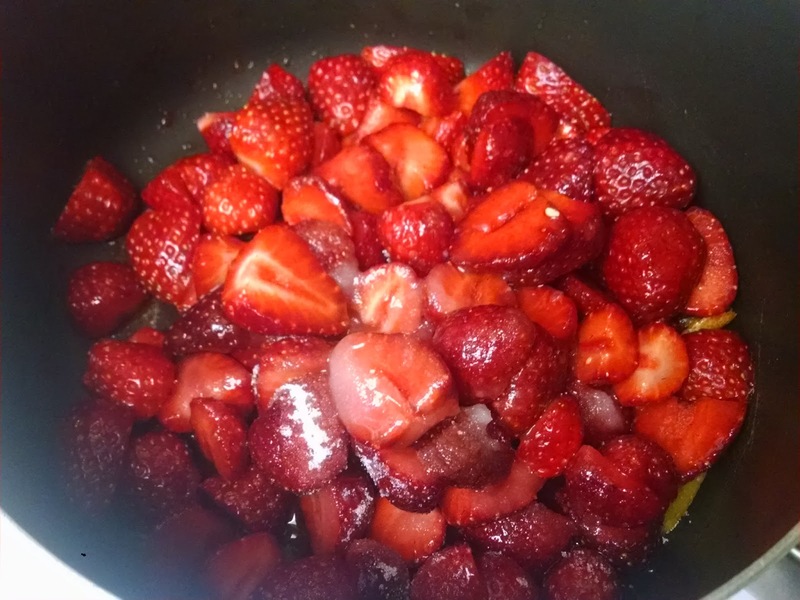 If you can find local strawberries, go get some, and make some jam! I promise, you won’t be disappointed. Anyway, stay tuned for that and some much more!